Observing a person picking up a flat object from a table, it is easy to understand that the “human grasp planner” is not very precise. Typically, the fingertips are placed on the table near the object, and then slide on the table surface. In this way, it becomes unnecessary to precisely control the distance of the hand from the surface. Instead, since the object rests on the table, the interaction with the table surface is exploited to place the fingers in an optimal grasping position. 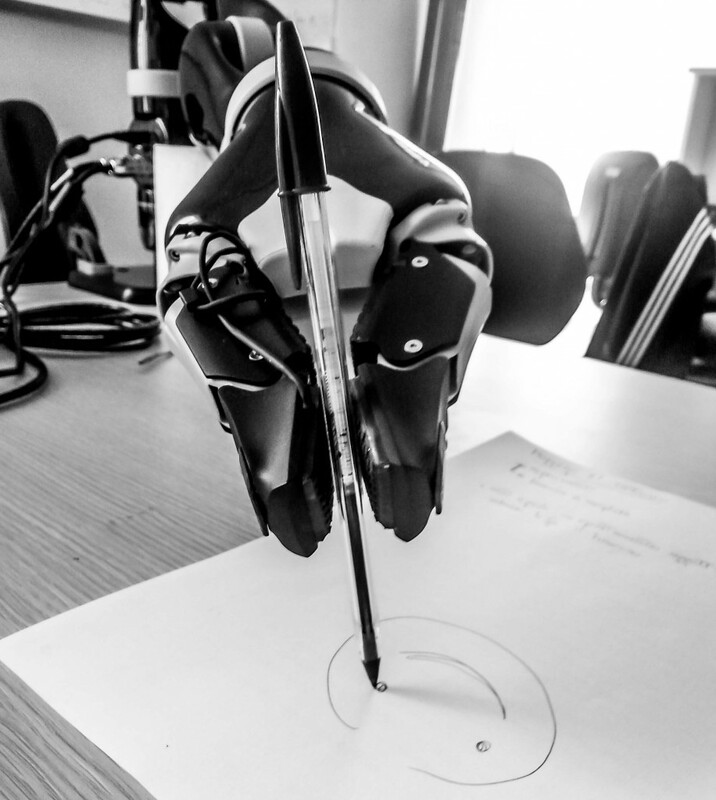 This approach stands in contrast to most of the robotic grasp planners that try to determine possible contact points/regions and precise wrist position, provided that an accurate description of the object is available. Replicating the human strategies to exploit the environmental constraints is one of the motivations that are steering the design of robotic hands from fully actuated stiff hands to more underactuated and compliant solutions. New “soft hands” are designed for the versatile and competent exploitation of environmental constraints, and the development of robust, cost-effective, and safe robotic grasping and manipulation capabilities. The goal of this workshop is to define open problems and delineate possible solutions for the manipulation of objects while exploiting environmental constraints. The significant benefits of exploiting environmental constraints have been demonstrated in robotics in a diverse set of applications and over the course of several decades now. However, these demonstrations occurred in isolation and without recognizing the centrality of environmental constraints for robust and versatile grasping and manipulation. In this workshop we will try to change this by discussing and developing approaches to grasping and manipulation centered around the exploitation of the environment. We believe this will result in an explosive increase in robotic manipulation capabilities, in turn leading to substantial increases in adoption of robot manipulation in industrial use cases. To this aim, we invited well-established experts to discuss different aspects of the problem including control, planning and design of new hand/gripper that consider the exploitation of environmental constraints as a primary target. We will have eight talks organized in three sections throughout the whole day. In the morning, we will hold a poster session, which will be preceded by flash talk presentations. This session will encourage participation of young researchers and stimulate the discussion between participants. In the afternoon, there will be a hands-on session where selected demos will be shown to the audience, to have an idea of the state of the art solutions. Finally, the last part of the day (75 mins.) will be devoted to a round table. The target of this session is the drafting of a document that will state the foundations of a wide effort of the grasping and manipulation community toward new paradigms where interaction with the environment is central.